Selling Restaurants presents this great location golf course restaurant close to skiing and new upscale mega casino. This newly remodeled bar and grill had gross sales of over $274,000 during June, July, and August of 08! The restaurant currently has no I-90 signage but is pre-approved. Adding I-90 signage could dramatically increase sales. 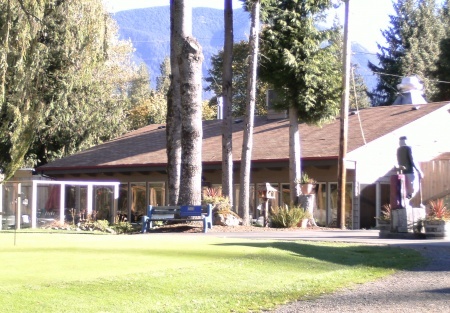 The 2,400 sq ft golf course restaurant with beautiful craftsmanship is the only restaurant off of the exit and is at the mouth of a busy residential and recreational community. It was remodeled from scratch in the spring of 08 and includes a great hood system, grease trap, large walk in cooler with 8 beer taps, large walk in freezer located outside to provide more room for the state of the art kitchen with excellent appliances and equipment. All furniture, fixtures, and equipment are included in the sale. The restaurant is currently closed for the winter. There is also an option to purchase the building and 37.5 mountain view acres including a 9 hole golf course. Call broker for more details. This is an Add Value Alliance, Inc. Listing.This is a Larry Braden listing. Lease is Only 4,500 a Month!